We Are Closed For the Holiday Season, from the morning of 19th April 2019 to the 21st April 2019. Have a great Good Friday. Ever since July, there has been some interesting changes in the COMEX and Shanghai Futures Exchange silver inventories. The increase in physical silver investment demand that surged in July, had a direct impact on COMEX silver inventories. As we can see from the chart below, total COMEX silver inventories peaked in the beginning of July at 184.5 million oz (Moz) and then continued to decline, reaching a low of 159.9 Moz presently. The majority of the declines came from the Registered category (the category that represents inventory that is available for delivery into the market). Now, while COMEX silver inventories continued to decline, the opposite took place at the Shanghai Futures Exchange (SHFE). SHFE silver inventories bottomed on August 18th at 233 metric tons (mt), then continued to grow over the past three months to the present 528 mt. Thus, silver inventories at the SHFE more than doubled since Aug 20th, while the COMEX inventories continued to decline. Why is one exchange building silver inventories while the other is falling? total industrial demand is forecast to fall by 4% to 570.7 Moz, and to account for 54% of physical demand in 2015. I have been a broken record disputing the notion of growing Industrial silver demand. While most analysts have published reports showing increased growth in the Industrial sector, I stated it will do the opposite by extending declines going forward. Industrial silver consumption will continue to fall in the future. Sure, we could see a brief pop in consumption for a year or so, but the overall trend will be lower. So, all the investors or analysts who are forecasting the future silver price based on industrial demand… WAKE UP. Forget industrial demand and focus on physical investment demand. That will be the key going forward. 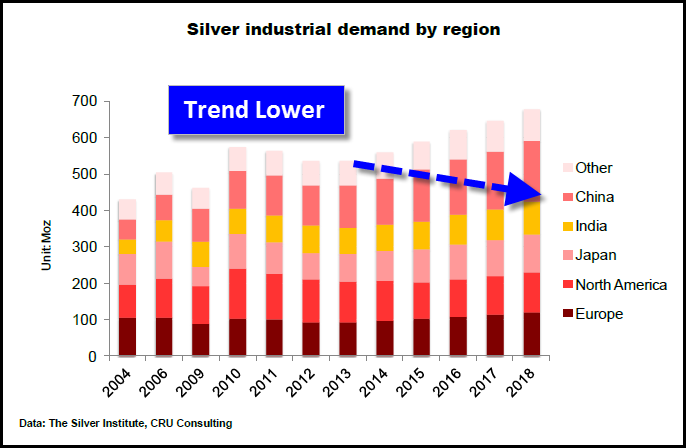 The industrial silver demand figures in CRU’s chart show a bottoming in 2013, then reversing higher all the way until 2018. Well, according to Thomson Reuters GFMS, industrial silver demand fell in 2014 and is forecasted to fall another 4% in 2015. So, the data in this chart is off by a wide margin… and will continue to be wrong in the future. A lot of time and money went into the research and publication of reports such as these. I would imagine companies probably paid a nice chunk of change to acquire this data. Unfortunately, these reports are useless and the companies that bought them basically flushed money down the toilet. 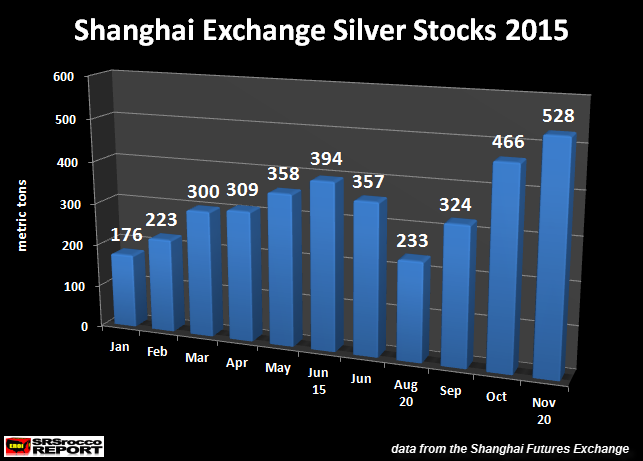 Rising Shanghai Silver Stocks, Falling COMEX… What Does It Mean? 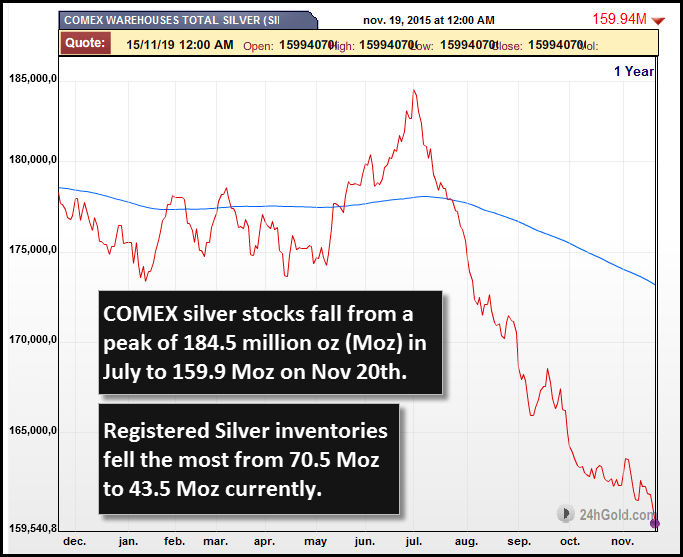 So, what does the rising SHFE silver inventories and falling COMEX stocks mean? I believe the decline of industrial silver demand is impacting China more to a larger degree than it is the United States. Furthermore, there is more physical silver investment demand in the United States than in China. The Chinese and many other Asian countries (except India), rather buy physical gold investment than silver. That being said, the surge in retail silver investment demand that started in June seemed to run out of steam during the first-second week of October. I spoke to several dealers who confirmed this change in buying. 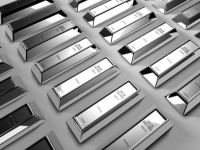 This reduction in physical silver buying occurred as investors began to realize the Great Market Collapse or Black Swan event would not take place at the end of the year as predicted by many analysts. However, to see the COMEX silver inventories continue to decline since the middle of October is quite strange. If demand for physical silver investment has subsided since the middle of October as well as industrial demand, you would think we would start to see a build of silver inventories at the COMEX. I have long maintained that the structural imbalances of debt and risk that triggered the Global Financial Meltdown of 2008-2009 have effectively been transferred to the foreign exchange (FX) markets. This creates a problem for the central banks that have orchestrated the “recovery” by goosing asset bubbles in stocks, real estate and bonds: unlike these markets, the currency-FX market is too big for even the Federal Reserve to manipulate for long. The FX market trades roughly the entire Fed balance sheet of $4.5 trillion every day or two. ….As emerging market currencies decline, the income streams needed to service all the debt denominated in U.S. dollars declines, a self-reinforcing dynamic: as income and valuations fall, capital flees, pushing the relative value of the currency down even more, which further raises the risk premium that then triggers even more capital flight. The sums in play are so staggering (an estimated $11 trillion in emerging market debts denominated in other currencies) that even the Fed won’t be able to stop the meltdown. What Smith is saying here is that even the Fed won’t be able to continue propping up the financial system as the emerging market currency meltdown goes FULL BLOWN. The irony of it all is this…. The meltdown of emerging market currencies is from the collapse in price of commodities and energy. While the United States and West have been able to live HIGH ON THE HOG because poor slobs in other countries have done the work for peanuts… this situation is no longer sustainable and is coming to an end. Which means, the hyperinflated Stock, Bond and Real Estate Markets will finally get the GREAT ENEMA due to the rising Dollar Index. Thus, the stronger the Dollar Index gets, the worse it is for everything PAPER (including Real Estate). How hilarious. The best way to protect oneself from the coming collapse of the U.S. Bond, Stock and Real Estate Markets is to own physical gold and silver. Protect your wealth; invest in physical gold, silver or other precious metals at best prices from Indigo Precious Metals. 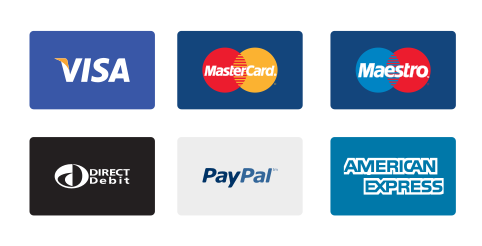 Physical delivery in Singapore, Malaysia or worldwide. Consider the safest option of segregated, allocated vault storage at Free port Singapore with IPM Group. Investment Overview Year 2018 - What To Expect in 2019? Banks Go Long Silver, First Time In 24 Years ! Platinum Major Triple Bottom Develops?